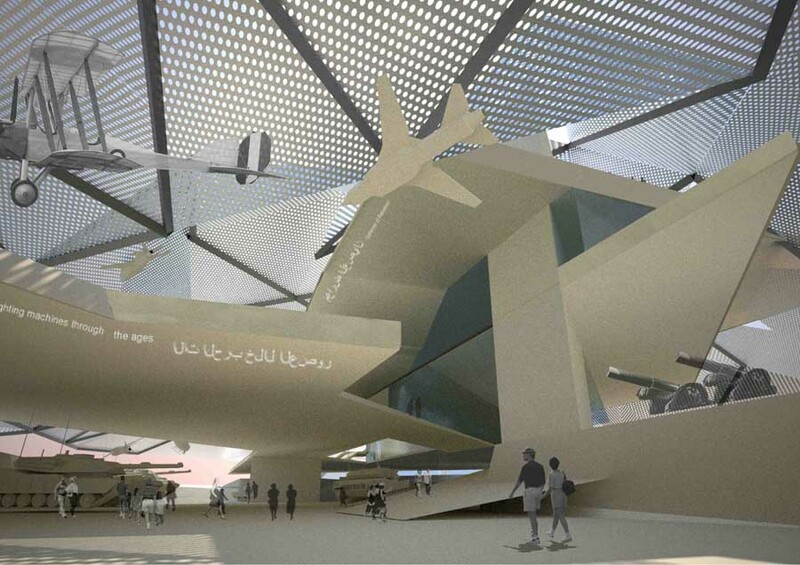 London-based architecture practice Metropolitan Workshop has won a closed competition for the new Museum of Conflict in Tripoli, Libya. 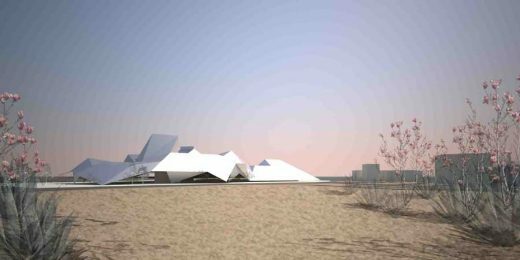 The museum will house permanent and special exhibitions on Libya’s unique history, telling the story of campaigns and conflicts that have shaped the country from colonial power to independent state. Underneath the large shaded canopy, a procession of museum gallery terraces spiral through the structure. This combination of terraced spaces and the angled exterior skin provides both enclosed conditioned spaces and open, non-conditioned spaces. Each gallery is adapted to the various artifacts and exhibitions on display including large exhibits such as tanks and planes, etc. Each floor plate was formed from an interlocking square module, which assists the interpretation of the museum programme. Functionally, the external shell diffuses the heat of the sun in order to regulate temperatures. It provides shade and shelter, allowing the public to view all exhibitions in comfort even during the harsh summer climate. The environmental controlled areas increase progressively from the outside towards the core of the building. The entrance plaza requires shading only, the lobby requires comfort control whereas exhibits and displays require close environmental control. Permanent exhibitions will include galleries documenting the country’s historic evolution with large-scale exhibits (lower ground floor), the uprising against repression (first floor) and its history of revolution (second floor). The culmination of the museum includes exhibits on reconciliation and remembrance as well as a congress space on the top floor, which will focus on dialogue, tolerance and communication. In addition to the main galleries, the museum incorporates a café, museum shop, prayer rooms, an education centre with a library and reading areas, conference rooms, administrative offices, and conservation and storage areas. The project site is located west of the city centre within the planned green belt and is near significant existing and planned public buildings such as the People’s Hall. 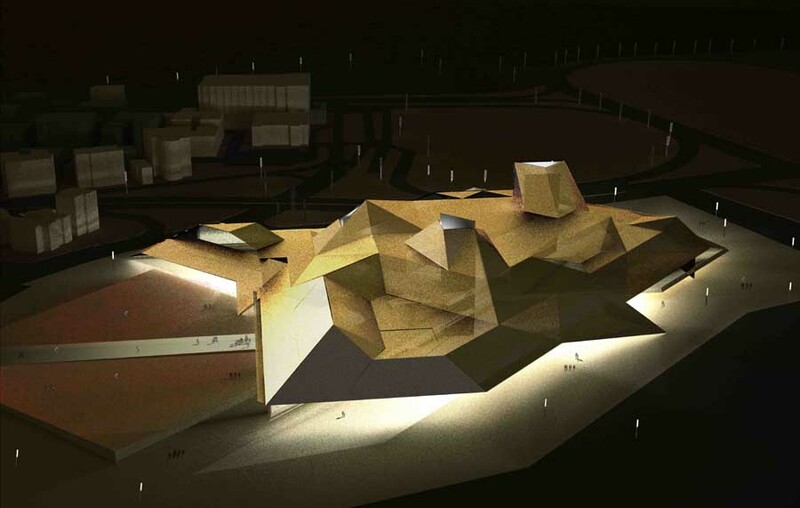 The museum spaces are partially sunk into the ground and use site’s topography to integrate the building into the existing and proposed landscape. This includes a poppy field garden of remembrance that will flank the approach to the main entrance. Work is planned to begin on site before September 2009 with estimated completion at the end of 2011.